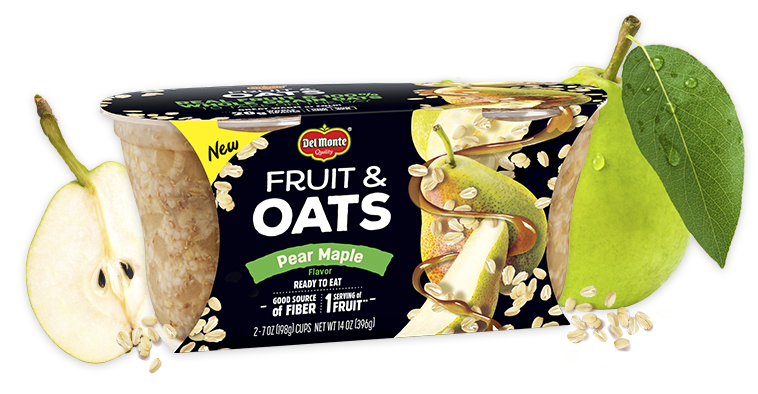 Introducing Del Monte Fruit & Oats to all King Kullen locations. 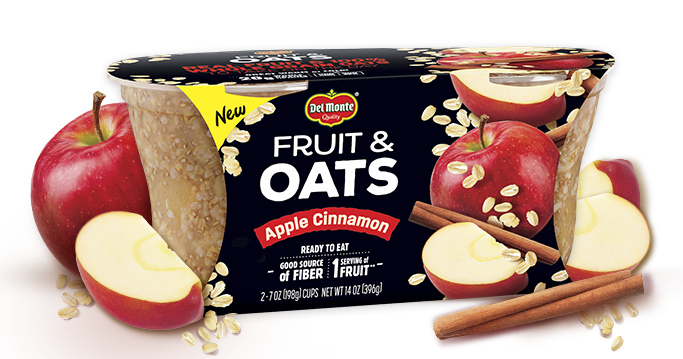 Del Monte Fruit & Oats are made with real fruit and 100% whole grain oats for a convenient, ready-to-eat snack. Start your mornings with energy to get through the day. Fruit & Oats contains 1 serving of real, juicy fruit, 17-20 grams of whole grains and 400 mg of omega-3 fatty acids. They’re a good source of fiber and vitamin C and are made with no high fructose corn syrup, artificial flavors or artificial sweeteners. Del Monte Fruit & Oats are perfect for those busy on-the-go weekday mornings. Pack them for breakfast or as a midday snack. They’re ready to eat with no prep needed, can be enjoyed warm or cold and come packaged in a microwavable cup!